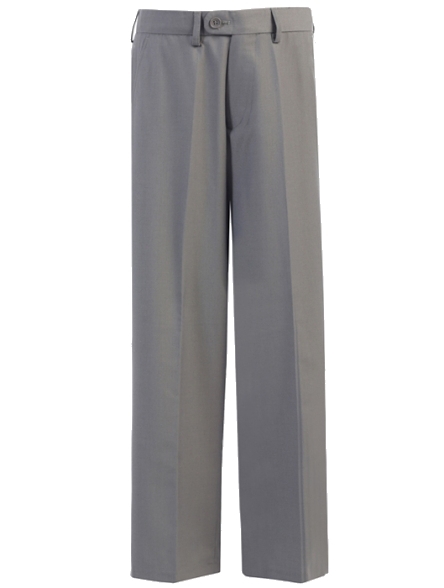 These handsome light gray boy's dress pants are made of polyester-viscose blend. The pants have belt loops and an inner band waist adjustment. 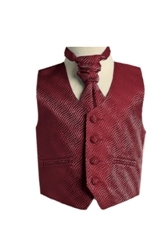 Side slant pockets in front and button pockets in back. Zip fly and tab clasp. Regular leg. Machine wash. They run true to size. From Fouger. These pants will get lots of use for special occasions like weddings,events, performances and church.